Scoured the shelves for deals on Black Friday? Gearing up for gadget buying on Cyber Monday? Don’t forget to honor the most important day of this week (after Thanksgiving, of course), Giving Tuesday. Giving Tuesday is a call to action, a national day of giving around the annual shopping and spending season. The third annual #GivingTuesday will take place on this coming Tuesday December 2, 2014. #GivingTuesday is a day for giving back, to write a check to a worthwhile cause or to donate your time and expertise to charity. #GivingTuesday, where global charities, families, businesses, community centers, students and more have come together to shape a new movement. A movement so compelling that the White House has taken notice. A day that inspires personal philanthropy and encourages bigger, better and smarter charitable giving during the holiday season. A day that proves that the holidays can be about both giving and giving back. 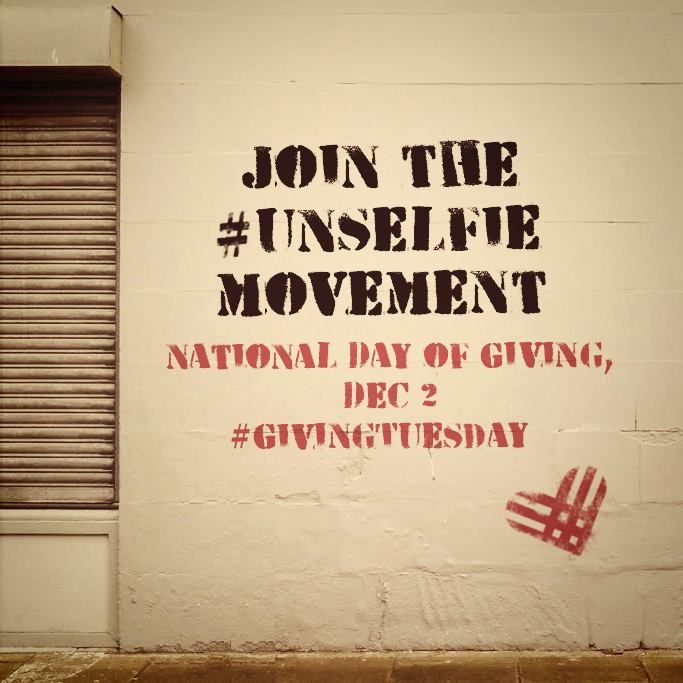 Show your support for Giving Tuesday by taking a photo and uploading it to Facebook, Instagram or Twitter using the hashtags #GivingTuesday and #UNselfie. For more information, check out the short YouTube video below or visit #GivingTuesday on Facebook, Twitter and Instagram. On Giving Tuesday 2014, I have decided to give back to the birds in my home state. One of my favorite organizations working specifically on avian rehabilitation and education is The Raptor Trust. My sister and I visited the Trust back in May of this year and had an incredible day. Everyone on staff was extremely friendly and enthusiastically answered our questions about the birds of prey in their care. Even the volunteer working the at gift shop was proud to discuss the history of the Trust and their birds with us. For those birds that would not survive if they were released, The Raptor Trust property has become their home. We were able to see these residents up close and personal. The birds were so beautiful that we walked through the Trust twice to be sure we didn’t miss anybody! 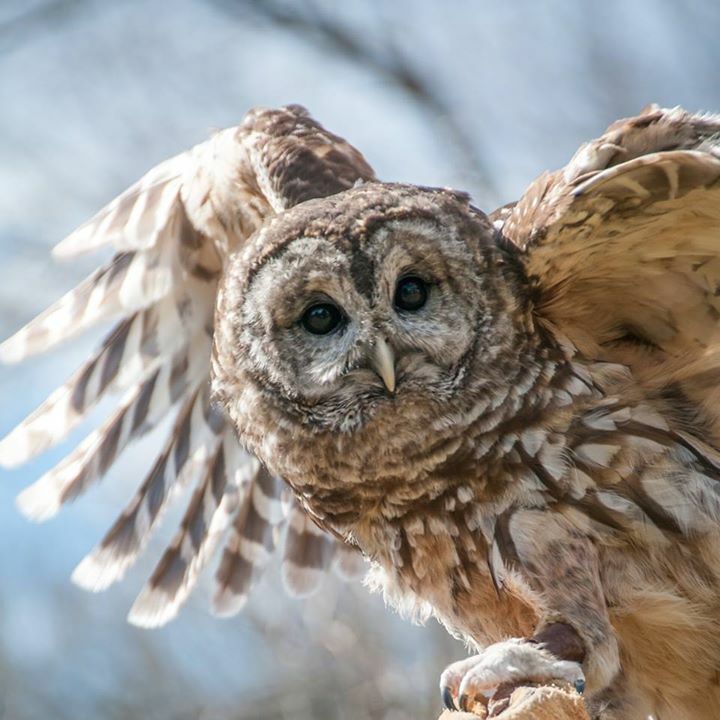 Vilma, The Raptor Trust’s Barred Owl plays a key role in the organization’s educational programs. Photo by Joy Yagid. Officially founded in 1983, The Raptor Trust is a 501(c)(3) non-profit organization and one of the premier wild bird rehabilitation centers in the United States. To provide free care and assistance to injured, sick, or orphaned wild birds. To educate people about wild birds, especially birds of prey. To provide a humane example for others. The Raptor Trust Director Chris Soucy. Photo Credit: NewJerseyHills.com. 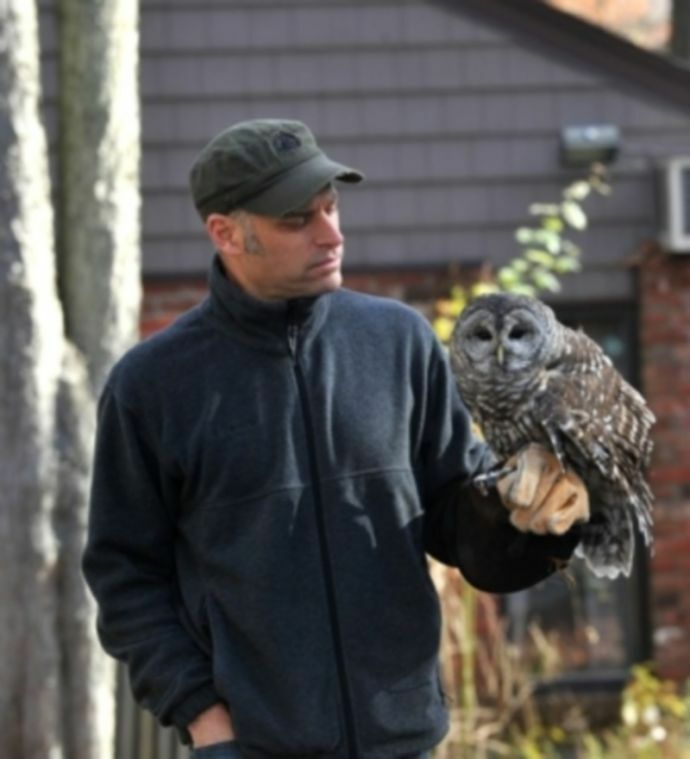 20-something Environmentalist sat down with Director of The Raptor Trust, Chris Soucy, and asked what continues to motivate and inspire the work that he is doing. 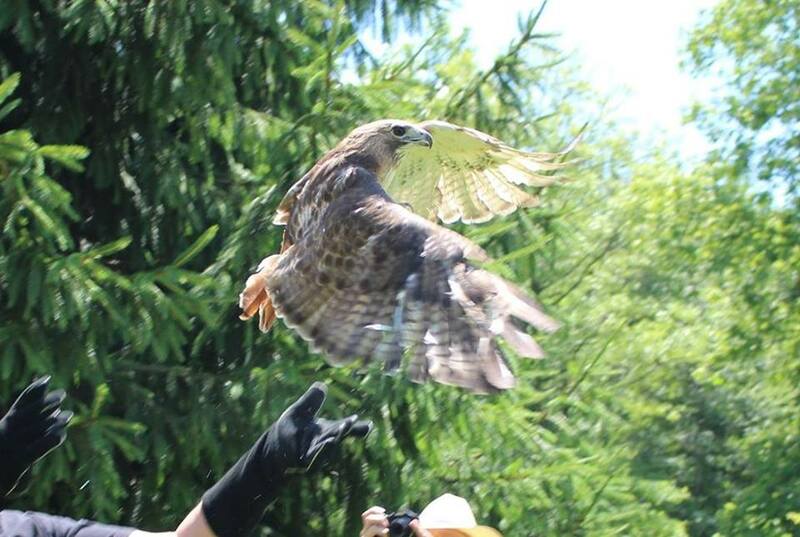 Red-Tailed Hawk Release. Photo from The Raptor Trust’s Facebook page. Please consider The Raptor Trust when making your year-end gifts this #GivingTuesday and throughout the holiday season. Help them help all things winged. To learn how to get involved with The Raptor Trust, and for more amazing photographs of birds of prey, like them on Facebook. This #GivingTuesday, Tuesday, December 2, 2014, consider making an impact on the world. Choose an issue that you are passionate and donate your time or funds to organizations that are part of the solution. Be a force for good.